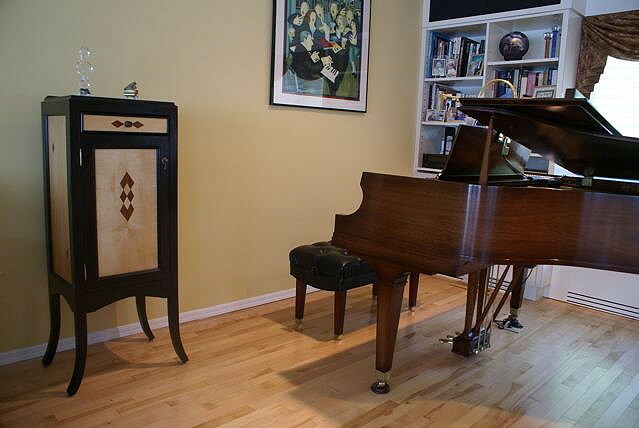 Here is a Sheet Music Cabinet I have completed. Frame:Sapele. Side Panels -Anigre veneer with Sapele diamond inlay. Drawer front and Door Panel-Maple veneer with Sapele and Maple Diamond inlay. Finish- Flat Black Oil paint-Shellac top coat. 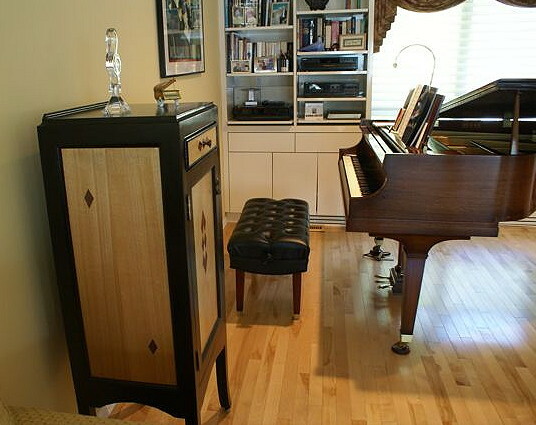 This piece was is based on an previous music cabinet I designed and built for a local friend and piano teacher. 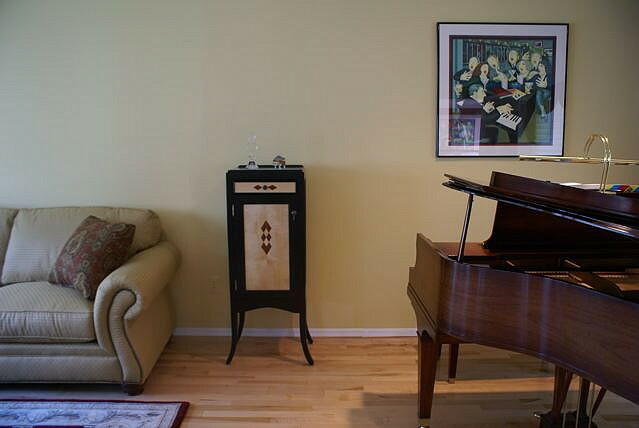 The first music cabinet had 6 shelves plus the pencil drawer. The new cabinet has the pencil drawer and ten shelves with a two inch spacing. I kept the diamond inlay design for the side panels and the door but I added a pair of diamonds on the drawer. I also changed the top from a pronounced lip to a recessed cove. Here is the cabinet in it's new home in Long Island, New York.